Bold brows have been a stylish girl’s staple for quite a while now, banishing the pencil-thin and over-plucked shape. If you need any confirmation, then look no further than to celebrities walking the red carpet. Icons like Cara Delevigne, Camilla Belle, and Lilly Collins have mastered the look, and surely serve as inspiration. Let’s be honest, how many of you have brought in a picture and told your esthetician “Can I please have the Cara?”. Grooming: Fuller, doesn’t mean unkempt. Take the time to wax, thread, or pluck your eyebrows in order to give them the right shape and arch for your face. For the first time, don’t try to do this on your own. Visit a professional who specializes in brow care so you can get the best results. Filling: Once you have a shape, then you have a blank canvas and it’s time to start filling. There are many options on the market, including pencils, powders, and gels. 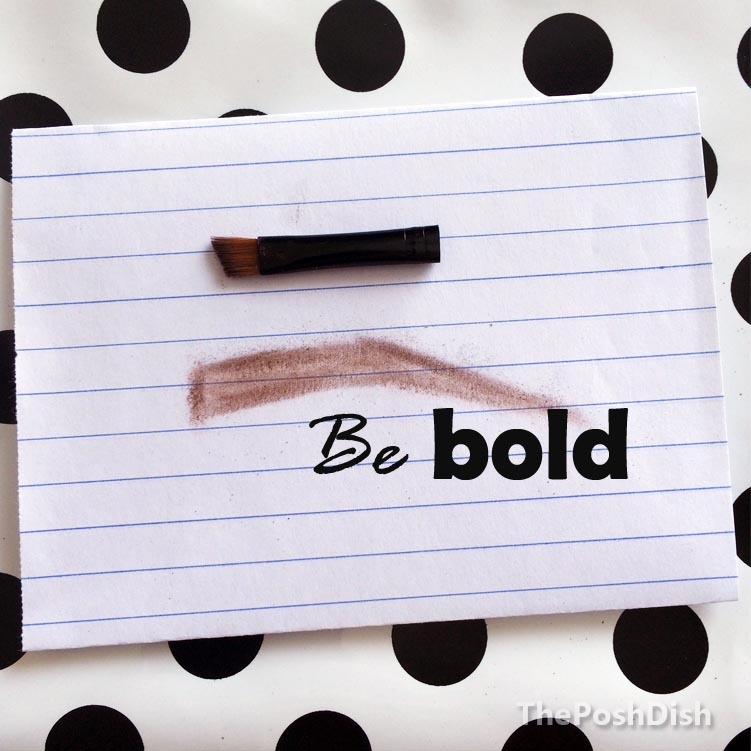 But whichever brand and formula you choose, make sure that it’s the right shade for you. Opt for one that is closest to your hair colour and not too dark –otherwise you run the risk of always looking mad. Sealing: Once your brows are groomed and filled, it’s time to seal the look. Sweep a coat of clear gel to make sure everything stays in place. Rain, snow, hurricane winds –whatever weather is in store, you will be set to face it. Are you a fan of the fuller look? Or or do you prefer a more subtle brow? Share your thoughts in the comment section or tweet @ThePoshDish. Love this! I depend on product to enhance my brows – nailed every point in this post!